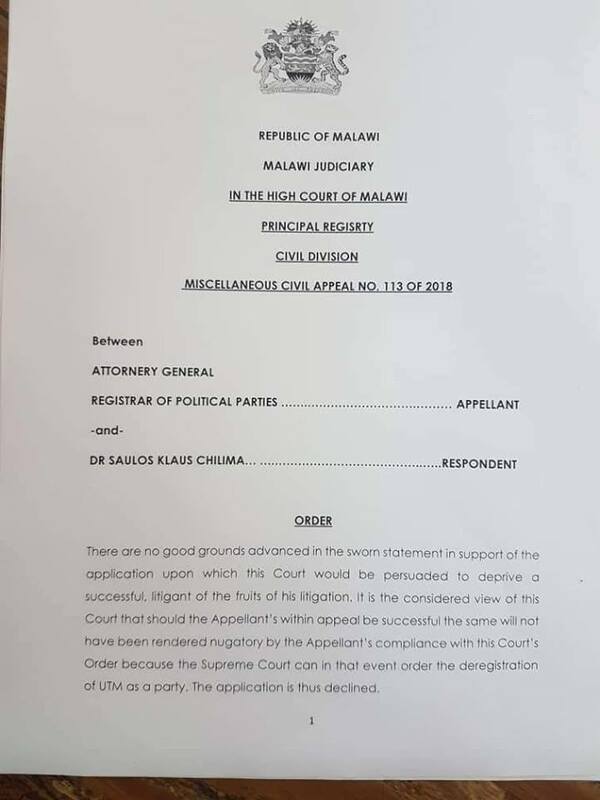 The High Court in Blantyre has thrown out the application by the Attorney General and the Registrar of Political Parties to appeal against the registration of UTM as a political party in the Supreme Court. 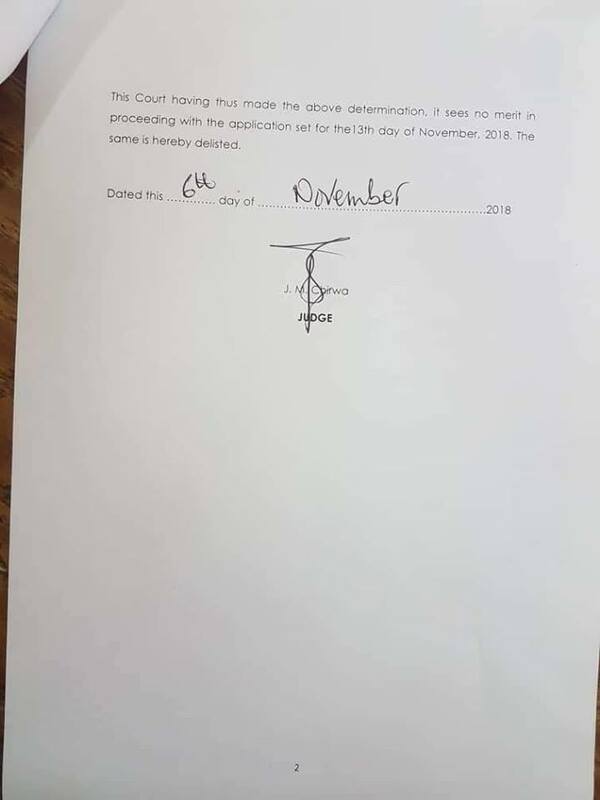 The Attorney General in the application said the High Court judge John Chirwa erred by ruling that Chilima should have been heard before the registrar decided not to register UTM. But the High Court has today thrown the application and the case has since been delisted in the court chambers. UTM Spokesperson Joseph Chidanti Malunga has confirmed of the development in a statement made available to faceofmalawi.